This recipe was never really going to be a blog post but it was so easy and so tasty I thought I would share it with you as a quick midweek post. I started off with a packet of pre-marinaded piri piri pork shoulders from Tescos and added a bit of a sauce element and stuck it all in the slow cooker and left it cooking whilst at work for about 8 hours. There was enough of this piri piri pork to have one evening served with homemade coleslaw and corn on the cob and the next evening we had it in taco shells. Both totally awesome and clean plates all round. Slow cooked pulled piri piri pork which can be a meal in itself, served in a taco shell or could be a delicious filling for a baked sweet potato. 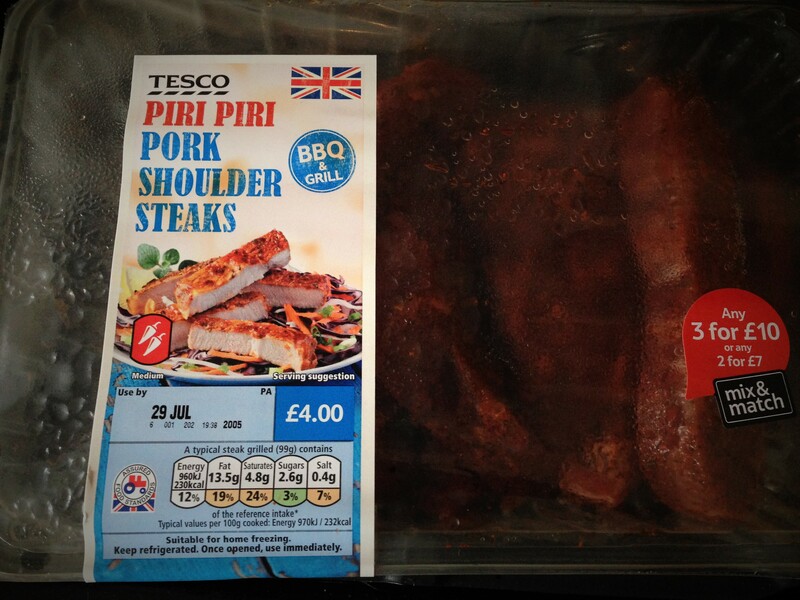 If the piri piri pork shoulders are no longer available at Tescos when you go to try this recipe I would recommend buying a dry piri piri spice rub and marinading your own pork shoulders over night before cooking in the sauce and slow cooker.